Sunday night while I struggled with figuring out a productive field course location for the third day of an AIARE 2 Avalanche Course Kate Matrosova, a 32 year old climber from Russia who lived in New York City as an investment banker on Wall Street, was struggling to stay alive. Her husband had dropped her off at the Appalachia Trail-head at 5:30am for her solo-attempt at a Northern Presidential Traverse; Mount Adams, Madison, Jefferson, Washington. A seemingly fitting objective for the Presidents Day Weekend. She was also quite bright. A graduate of the University of California, Berkeley, and the Haas School of Business, she must have had a solid head on her shoulders. So why did she attempt this exposed alpine traverse with this weather forecast? On February 2, 2015 a man, whose name is unknown to me, began his summit bid of Aconcagua. During this attempt he felt that he could not continue. The guide found him shelter and had him sit down as he continued up the summit with another team member. When the guide returned a few hours later the man was dead. In everything that we do or don’t do there is a cost. This travel journal is dedicated to all of those that test their limits and explore their world. 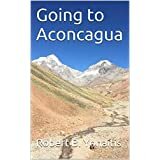 Before I get into the journal about my Aconcagua Expedition I thought I would spend a few seconds explaining how I got here. I mean how an ordinary guy, software engineer, decides to take an expedition to the southern and western hemispheres highest mountain. Well it was not out of the blue and better put it was a progression. It started years ago as I continued my education, a move where I did not stay focused on one area, but I expanded my education across many disciplines. Upon doing this, it occurred to me that I knew nothing about the world in which I lived. So, when I got the opportunity I started reaching out. I learned to fly – talk about changing perspective. I travelled to; Europe, South America, Asia and the Middle East. It seemed that the more I travelled the less I understood about everything. 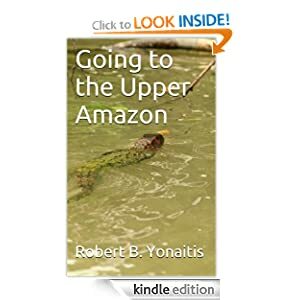 With travel not providing answers I continued education and then looked to more exotic travel; camping in Antarctica, Touring flooded forests on the Amazon, tracking lions in Kenya while on business with the UN. Still, I found no great meaning. I then climbed MT Kilimanjaro (Kili). It was cool, the world’s highest free standing mountain – it was great. I noticed climbing Kili that the challenge was the meaning. The shared journey with people was the meaning. With this lens I looked back and I realized that I was always trying to go somewhere and that was not very important. The more important part was the friendship – completing the climb with team members. As I climbed Kili much became clear. Not that a mountain or a challenge can change someone – although it can, this was not my experience. For me the mountain brought things into focus. As my life came into focus on the mountain it was imperfect, there were things that were like thorns, these things were feelings, emotions, or memories that just did not fit in my world view any longer. On the mountain an amazing thing happened, these thorny thoughts or better put memories that I would not let go of somehow got left behind on the mountain. Much like meditation when done the climb it was like my life was realigned in a positive manner. After Kilimanjaro I continued climbing; small mountains in the white mountains of NH, mountains in New Your like Black Mountain, The great wall of china (The Hard One) the Tiger Mountain Great Wall bordering North Korea, and many more. Not that I was a junky or anything or a mountaineer – I am not. What I found however is that an ancient Chinese proverb is true: You cannot add water to a glass that is full. Climbing the mountains and/or other adventure travel provided space for new understanding by doing some mental housekeeping. The next big trek that I did was in Nepal, to Mt Everest Basecamp (EBC) . This was an interesting trek because it was Nepal – Starting with Katmandu. I had no gear (It went to Istanbul) and none of my comfort items – But I had a credit card and lots of stores to buy knockoff gear in. Of Interest, I wore my boots so I had them. The trek was at the end of the season and it was long and constant. I will not forget the day that we made it to basecamp, the prayer flags and the sense of team accomplishment. When I got back to New Hampshire I had no immediate plans of doing anything but getting better. You see at EBC I got a terrible cold, a broken toe, and a lost nail or two. So Lots of Theraflu and well, I did nothing for my toe. I did nothing because on New Year’s Eve (2014) my friend Brian (whom I did Kili with) called me and said hey man, want to do Aconcagua. I answered immediately yes. Training started immediately and my toe healed really funny in 6 months. Having said yes I immediately started training. I ran a lot, in; Paris, Beijing, Changchun, Shanghai, Dalian, New Hampshire, San Francisco – Wherever I was I just ran. Before the Aconcagua Expedition I was up to running at least five (5) miles a day and in the end did one marathon two weeks before the expedition. In addition I did free weights and hiking with a pack loaded with 50 pounds but made the horrible mistake of only going up to elevations of 4000 feet – I say it is a mistake because I should have done more very high altitude to better condition myself. So, that is how I got here and this travel journal explains my experiences in my own words – massaged a little by an editor. 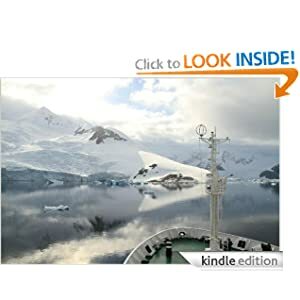 I hope you enjoy the journal as much as I enjoyed the expedition. Most of what we do starts with a series of steps calculated plans and organization. In this case it was January 21 and I was near the time of the start of my expedition. We were staying at a hotel in the Penitentes area. In a pseudo warehouse next to the hotel was where all of our gear was stored for the expedition. It was getting very real now, the expedition, and the team had begun to go through a bonding process. This was important you have to understand that most people only knew one other person at best and we all had to somehow get to know each other. So on the previous night we all sat around talking about this and that and getting to know each other. From the beginning, the first dinner in Mendoza, I have believed that we had a great team – sure little blips here and there but a group that could work together on this expedition. Now Argentina is known for its beef. On our first night in Mendoza we had beef, on the second day we had beef and on day three on the way to where we were at we had beef for lunch. By beef I mean imagine a ¾ pound steak. On this, our last night, of choice people were ordering the fish and pasta! One of the team did mess up and order a steak soaked in Malbec. There was much laughter surrounding this error. You see you have to be careful with the menus if you are depending on translations, sometimes they are not as they appear. In the dining room there was a group sitting by us that by appearances they had just completed a successful summit, I say this based on their general demeanor and the fact that they were popping a bottle of champagne. I tried not to look over or pay much attention. There are some things that you don’t even dare to whisper because you may jinx yourself, and the potential of a summit is high up on that list. I did scan the group and I saw age groups spanning what seemed to be 35-65. When it comes to mountains capability matters but the will to complete is not far behind. My friend Brian, whom I climbed Kilimanjaro with had invited me to take this expedition with him. Tonight at Dinner I sat next to him. We discussed this and that and mainly focused on the start of the trek. We would be doing 4.5 hours through the Vacas Valley. Everything I read said the heat and dryness should be the biggest stress, I focused on this but I would come to find the heat and dryness was not such a big deal, there would be other trials. On this our last night it was clear that we all had jelled to a good starting position. Now we were ready to spend 21 days together. It was time to sleep because the expedition started with the next wake-up. Seven AM came early, and on this morning, I had arisen first thing with the goal of putting some stuff in my duffle bag that would be carried to Basecamp, versus all of the intermediate camps, by the mules. When I got to the room I searched about for my bag and I found it, the problem was that it was not tagged so it would most likely never reach me. I was able to fix that easily by talking to some people, I weighed and tagged my bag and then I weighed myself, 98KG. It was time to begin the journey. As always, on first days, I was not very hungry at breakfast and I felt a bit sick in the stomach. It is amazing how your thoughts can travel so quickly between; friends, family, professional and of course loved ones that have passed away. For me, I always think of the forever present thought – How did I get here? It was now game time, no time to think of the celebrating team from last night. You simply switch to focusing on your expedition team members because as of now they will be the ones that get you through, Now, it was time to sit in the warehouse and wait. I did not get off to a great start, having only had a total of three hours’ sleep Thursday night. When the alarm went off at two-thirty in the morning I was still jet lagged from my trip to Beijing the previous week. The sleep that I got had not been all that meaningful either, as I was running a 99.2 degree fever while switching between the sweats and the chills. I had also pretty much lost my appetite. I am sure that I had flu and a strain that I had caught in Beijing versus the USA. I feel pretty strong about this because I had the flu shot and I assume the variant I caught was not from my neck of the woods. Besides being sick I was pretty much prepared. There is something special about laying out your clothes for the next day when travelling so that you simply need to; wake up, have a shower, dress and then drink your morning shot of espresso. This was exactly what I did with no concern for time. It was 3:00AM and I did not have to leave till 3:30. There was one problem, there always is, and one that could not be resolved. I had lost one of my luggage locks and after wasting 15 minutes looking for it I simply gave up and decided I would get a lock in Boston and lock the bag when I arrived in Lima before rechecking it to Mendoza. Now I had these two huge bags, North Face Base Camp duffels, Large and Extra Large and a back pack filled with 20 pounds of electronics, yes I weighed it! The bags made it into the trunk of the car and then for the long drive to the Airport. A little Boston trivia, to drive to Boston from Concord, NH can take upwards of one and a half hours during rush hour but at 330AM there was little to no traffic. Being sick and weak, you know the feeling where every joint aches? I summoned up some strength and left the car with my two duffels in tote weighing about 45 pounds each, and with the backpack on my back, I found my way to the check-in counter and got rid of the bags. I felt totally wiped, went through security and headed directly for the United Club. The United Club is an Airline Lounge where you can settle in to recharge devices and yourself. Once in the club I got myself a cup of hot water and poured two packages of cough medicine in it. I began to drink it as if it was a chilled glass of water on a 100 degree day. My first stop would be Houston on this trip and I was lucky to have an Aisle seat. The flight left on time with no issues. Now you might ask why I was travelling with flu. The answer is a bit complicated; the trip was planned one year in advance, the symptoms were controllable with medicine, and I could not change the flight by even one day as all the South American legs were full. So onto the plane I went. The first hour of the flight was uneventful but the remainder of the flight was pretty uncomfortable as I spent most of the time doubled over in my seat with stomach cramps or in the Airplane restroom, and as we all know avoiding the plane restroom is always the best option-one I did not have. This flight is where everything went downhill, I was so uncomfortable that I could not sleep and thus could not rest and I feel that it just made me sicker. Once in Houston, I made it to a club and sat down for my five hour layover. I had lots of water, some Pepto and sat rather quietly and watched time pass by slowly. Still with no sleep and feeling weaker as every minute passed. It had occurred to me that since I could feel my head and know I had a fever was there a chance that customs in Peru, my first stop, would quarantine me when I landed. I popped some Tylenol and hoped it would reduce my flu derived fever. It occurs to me as I write this journal that making self-diagnosis may not have been the best decision I ever made. I boarded the plane to Lima and after about an hour delay the plane departed. The plane was an older accommodated Boeing 767 and I was lucky to have an Aisle seat again. I was hoping to get some sleep on this leg of the journey. But it seemed the second the plane went to altitude I had a headache and cramped up again and I was in just pure pain, I spent six and a half hours between my seat and the restroom again, when I was allowed to get up, as there was plenty of severe turbulence when the plane was crossing the equatorial region. It was so bad that the also made the stewardesses sit down until they worked their way around the storm. The only thing positive about the flight was that I had an eight hour layover in Lima and I reserved a hotel room directly across from the airport at the Costa del Sol hotel. We landed a few minutes before midnight and I was never so relieved to get off a plane. I was hoping that there were no lines and I would be quickly to my hotel, but it was not one of those lucky days. First, the line for immigration control took forever. Next it seemed like my bags were the last out on the belt making it a long wait in customs. Finally, there was a long wait for check-in at the hotel. I made it to my room around 1:30 AM. I felt so weak and so tired that I finally just set a wakeup call for 5:30 AM and went to sleep. Even though I was still jetlagged from China, which was exactly 13 hours difference making night into day, I pretty much just passed out. When the call came to wake me up I felt so tired that it hurt to get up. My eyes burnt and all my muscles ached, it hurt just to swallow water, but I did and I got up and showered and headed down for a quick breakfast. The breakfast was far from great but to be honest I was not hungry and just forced myself to get a little protein in the form of sausage and eggs and a glass of juice. I then went back to my room and put my bags on the airport cart. Yes I had taken it all the way to my room, and I headed to check out. I paid my 89 pesos for two bottles of water and headed off to the Airport. Travelling in South America at times can feel a bit sporty, not that it is, but it is just different. When I arrived at the ticket counter there was some issue, I immediately thought it was related to my bags because they had to retag them. I was guessing I should prepare for some fee, but after 16 minutes of computers and managers I was curious so I asked. Apparently the previous flight to Santiago was cancelled. Because of this they were having some issues and needed volunteers to take a different flight to Buenos Aires versus Santiago to Buenos Aires. This seemed interesting but I was unsure as to why it was impacting me, my plane was not cancelled. Finally, the check-in Agent returned and he said he was registering me as a volunteer and I needed to sign a piece of paper, and I would get a future credit for 150 dollars and a breakfast voucher. Now I don’t remember volunteering ever to give up a seat, however I just shrugged and listened. I was told no worries because I would have 30 minutes in-between this new flight and a transfer to Mendoza. So, I went upstairs to the departure gate and waited for my flight, it was delayed, turning my 30 minutes between flights to more like ten minutes. I feared that even if I made the connection my bags would not. This flight to Santiago was about a four hour flight. The second we took off or perhaps before I was so tired that I fell asleep. It was good, I believe I was dreaming, and then it happened, BOOM. Then more loud noise and my seat was shaking violently. I woke and saw everyone was calm, my seat was shaking and then I saw why. A little girl about five or six was using her tray table, the back of my seat as a drum as her mother slept peacefully. About the same time I awoke so did her mother and she caught my stare and she stopped her daughter for the first time. While I was able to sleep fate would prevent it because, well, that is the way the universe works! You might be curious as to what I was thinking on this four hour flight. Well, I was glad I did not need the restroom and had no discomfort and second that I knew I looked so weak and a pasty white and I felt the same way. I just felt like I had neither energy nor appetite. I arrived in Santiago with several minutes remaining till the next flight was supposed to board, however, I found that the flight was delayed an hour so I was fine. More importantly, as I queued to wait to board, I saw my bags being loaded. What a great feeling it was to see my bags would make it. The flight was comfortable and fast and what a view as we went over the Andes. I saw the mountain and thought to myself that I am so sick and weak in this moment how will I ever summit Aconcagua. I relaxed for a moment and thought that that was not the goal of today, today’s goal was getting to South America and more specifically Mendoza and as I walked out of customs and saw the driver that was picking me up I knew at least these last two days were successful. And soon I would be in the hotel where I could sleep.